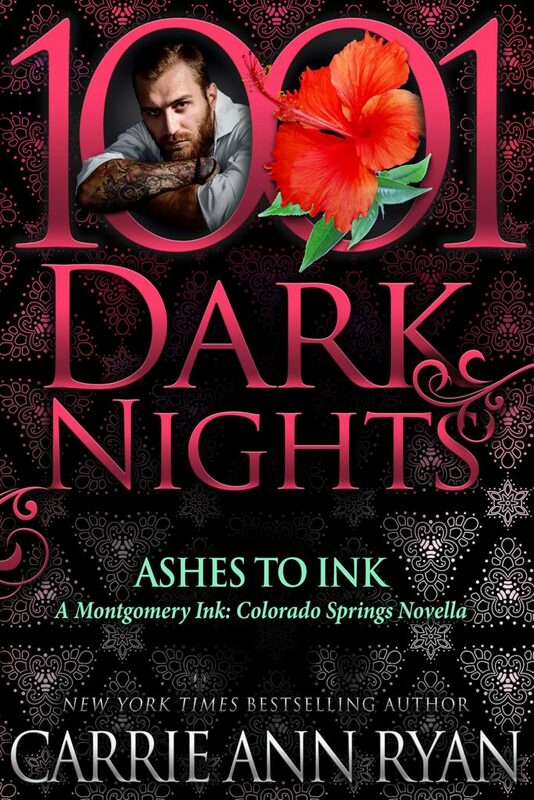 Are you ready for more Montgomery Ink? 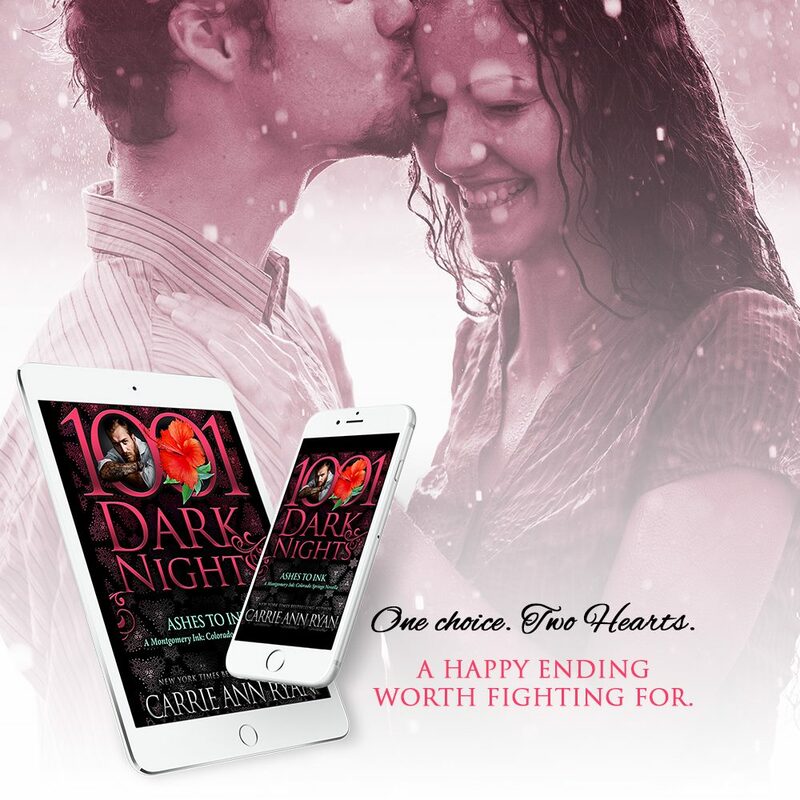 Carrie Ann Ryan’s ASHES TO INK releases January 22nd – read the first chapter below and preorder your copy now! ASHES TO INK releases January 22nd, 2019 – preorder your copy now! Abby loved tea. She loved everything about it. The taste, the smell, the way it warmed her up on a cold day or cooled her down on a warm one. She’d even loved tea when she was a little girl, playing with air in her teacups and treating her stuffed animals and Cabbage Patch dolls to an afternoon tea party. Her grandmother had taught her the basics of brewing the perfect cuppa, as well as the ratio of sugar cubes needed. Abby had then learned to try tea with all additives: cinnamon sticks, lemon wedges, a dash of cream. Some might consider that ruining it, but Abby had wanted to try it all. She loved tea bags but adored loose-leaf tea even more. She relished steeping it, blending it, and finding the perfect mix for the season. So when she found herself looking for a way to create something that was just hers and start over after everything had fallen apart around her, opening the tea shop had seemed like a no-brainer. Teas’d specialized in loose-leaf tea, but Abby also sold some bagged tea and different teapots and helpful equipment. It was Abby’s goal in life to make it so others could discover the joys of tea like she had, and maybe find a new favorite along the way. She had always loved the idea of teatime, even if she didn’t have the time to truly sit down and enjoy it herself every day. Regardless, she adored the scents, loved the idea of falling into a cup—a different flavor every day. With the resurgence of tea drinkers, it was easier for Abby to find fellow tea lovers as time moved on. There were big chain tea shops and smaller ones as well, but Teas’d was just for her. She was a tiny little speck in the idea of tea and how it could serve the needs of the people, but she was the best speck she could possibly be. She’d had to be after everything changed. She’d had to be when she lost everything. Well, not everything. She still had her little girl. Abby grinned down at her phone and swiped up so she could look at the photo on the home screen. Julia was growing every day and even looked slightly different now than she had in the picture. Abby still couldn’t quite believe that she and Max had made this beautiful baby girl. Max might not be around to help raise Julia, but he had been there for the conception and had been there to pick out everything the two of them as new parents would need to raise their child together. It didn’t hurt as much as it once had to think about Max. Oh, it would always hurt, but at least it didn’t make Abby want to throw up and grieve right then. She could think about her husband and smile now. She could think about the fact that he had loved her with all of his heart, even if that had been the thing to take him away from her in the end. And she couldn’t say her feelings didn’t matter now though, because that would be a disgrace to his memory and the fact that she could see Max in her little girl every single day. Julia would never know her father, but Abby was doing her best to make sure that Julia knew exactly who Max was, and how excited he had been to have Julia in his life. The two had never met, but Abby knew Max was always watching over them. There was no other way to think about it. Not when Abby needed to get up every day and breathe—try to be the mom and woman she needed to be. But today was a new day, just like all the others. Today, she would make some tea, sell some tea, and maybe even have a cookie or two. Because it was Friday, and she was allowed to have a cookie if she wanted. She just might have a little extra padding on her hips, but that was fine with her. It wasn’t like she was trying to entice a man. Oh, she’d dated a couple of times in the past year or so, but it hadn’t really amounted to much. She hadn’t been ready, and she didn’t know if she was ready now either. Abby looked up at the sound of her friend Adrienne’s voice and smiled. Adrienne Montgomery owned the tattoo shop, Montgomery Ink Too, next door and was part of a huge family—way bigger than just the set of cousins that lived near Abby. The Montgomerys were large, loud, brash, and the sweetest people Abby had ever known. They had taken her in with just one look, much like their cousins in Denver had, and Abby loved every single one of them. Shea was Adrienne’s sister-in-law, and Roxie was Adrienne’s sister. Both were accountants, and pretty much helped run the businesses on this stretch. The Montgomerys owned two of the businesses—Montgomery Ink Too, and Colorado Icing. While Adrienne and Shep ran the tattoo shop, the Montgomerys’ middle sister, Thea, owned the bakery at the end of the strip. Abby had a feeling that if there had been more space available, the accountants of the family probably would have moved in as well. Or maybe even the mechanic, Carter, who was married to Roxie. In fact, Adrienne was dating one of the tattoo artists, Mace, and that just meant there was more family than ever. More Montgomerys. Abby didn’t think that Thea’s boyfriend, Dimitri, would be able to move a whole high school into the strip, but if there were a way, the Montgomerys would likely make it happen. “Your family really is pretty amazing.” Abby grinned as Adrienne rolled her eyes. They both laughed at that because even though it might be true, every single one of the Montgomerys had their own touchstones when it came to what those around them needed. “Well, you’ve come to the right place. Let me set you up with some chai. I know that’s your favorite.” Abby went around the counter and began working. She knew the exact blend her friend favored and even had the milk Adrienne so dearly loved to put in it. She’d make a latte if she could, but she only did that when she visited Thea’s bakery. Here at Teas’d, it was all about the blends and steeping. “That and some of that peppermint one for later. It is the holidays. You have some peppermint, too, right?” Adrienne bounced from foot to foot as if she’d already had her caffeine for the day. Knowing Adrienne, she probably had but wanted more. Abby was happy to oblige. “Oh, I have the peppermint. I also have that white chocolate peppermint bark one that you love.” Both of them smiled, and Abby watched as Adrienne rubbed her stomach with her hand, her eyes comically wide. Abby didn’t actually serve brewed tea all that often. Most people came to Teas’d for stock rather than just a cuppa. But she did have a couple of places to sit outside, as well as one inside. It was winter in Colorado Springs, so sitting outside wasn’t something that people did often. But Abby knew some did like to sit outside the bakery at the other end of the strip, drinking their hot cocoa or coffee and braving the cold just because they were Coloradans, and that’s what they did. And while it didn’t happen often, she loved when people came in for a cup to go, or even stayed to drink out of her ceramic mugs. She had painstakingly searched forever for the cups that she wanted and had ended up just going to Jake Gallagher to have them made. Jake was an artist. He sculpted with his hands and with his heart. He’d made the mugs for her, as well as other things she could sell in the store. She knew that he made art. Real art. And though she thought of her teashop as its own kind of art—the way it made others feel was art itself—she knew Jake was in a realm of his own. With any other person, he might not have tried to help her as he did, but they had a good relationship now, and she liked that their working relationship meant that she could sell his wares and still use everything that he made for her and her customers. The Gallaghers were connected to the Montgomerys through marriage, and Abby was tied to the Gallaghers through Max since Jake’s brother Murphy had been one of Max’s best friends. It was odd how everything seemed to tie together and be so close—yet so far away. She might have felt that she was on the outside looking in once, but that wasn’t the case anymore. The Montgomerys and the Gallaghers wouldn’t allow that. And while both families had given her space to breathe, they hadn’t given her enough room to bury herself. No, she wasn’t thinking physically, she would never do that. Never to herself, never to Julia, and never to Max’s memory. But she had needed some time to figure out how to be a single mom in this world. A mom without a real job and with only a savings account for a dream that she’d never thought to have realized in the timeframe she was forced to work in. Abby smiled, knowing today would be a good day, because it had to be. There was no other option when it came to tea. Adrienne threw her head back and laughed. “That we are. Although, I do have to say, Ryan might be the wildest of us all.” Adrienne winked. Abby frowned at that but didn’t say anything. Was Adrienne trying to match up two of her single friends? She wasn’t sure if she was ready for anything like that. Or if she could think about Ryan like that at all. He was handsome, that was for sure. And he always had a soft smile for Abby and was really great with Julia whenever they ran into each other. But that wasn’t often since Julia was usually with the sitter when Abby was working. Or maybe Abby was just reading into what Adrienne had said because she’d had a little too much caffeine that morning. It was time to switch to herbal tea for the rest of the day if this was how she was going to start thinking. “Yes. Since we’re able to make our schedules work, we don’t have to get an outside sitter as much.” Adrienne paused. “You know, Julia’s always welcome to come over. I know that you would trade off with us if you could. You don’t have to pay for a sitter. We Montgomerys make it work, and you are an honorary Montgomery, after all.” Abby didn’t shake her head or say no. She knew the others were just trying to help, but it was sometimes hard to willingly accept help when she wanted to stand on her own two feet. Plus, Abby didn’t want to have to rely on anyone. Everything could change in an instant. She shook off that thought and tried not to think about what it meant. She knew she was thinking about Max and the fact that she hadn’t really spoken to his family since the funeral. They hadn’t even met their granddaughter. Hadn’t been involved in anything having to do with Julia’s life. But that was okay. Abby would be okay. She had to be okay. “I will talk to you later. And bring the tea.” Adrienne just rolled her eyes. Probably because Abby hadn’t commented about the daycare, but it didn’t matter. The Montgomerys would just bring it up again, and Abby would cave—because she would. Julia loved hanging out with Daisy and Livvy. And since Julia and Livvy were close to the same age, it worked out well. Soon, there would probably be more babies in the Montgomery world. They might not have room for Julia. Abby shook that thought out of her head as Adrienne walked out of the store. And then she went back to work. There were more teas to make, more blends to perfect. And peppermint tea and chocolate to give to her friends later. The day went on like normal. People came in for tea, and more than one for gift baskets and Christmas presents. The holidays were quickly approaching. So fast that Abby was sure she was behind on her shopping. She tried to get some things for the Montgomerys, but most everything was for Julia. She didn’t want her daughter to assume there would always be gifts, something material. But she also wanted to spoil her baby just enough. Julia deserved to be spoiled. When Abby went to bring over peppermint tea for both Mace and Adrienne, Ryan was out on a personal call. She hadn’t asked why, and she didn’t want to explore why her brain immediately went to her wanting to know more about the man. She shouldn’t want to know more about him. He was a friend. Nothing more. And that meant she shouldn’t be thinking about how he looked in his jeans every day. Or how much she liked the beautiful ink on his arms. Nope, she wouldn’t be thinking about any of that, thank you very much. As the day wore on, the snow started to fall a little faster, a little harder. It had even begun to accumulate, which annoyed her since the forecast hadn’t predicted it. Then again, the meteorologists were rarely right these days. Abby wasn’t really looking forward to driving in the snow, but she was a native Coloradan, and she was used to it. There was no use complaining about the precipitation in Colorado. That was like complaining that there were mountains or high altitude. Weather like this was just something one got used to. The snow would probably melt the next day anyway. Even if the sun shone and it was frigid outside, the precipitation did its own thing here in Colorado. As she made her way to the babysitter’s house to pick up Julia, Abby knew that she would eventually have to ask the Montgomerys for help. She didn’t like how long it took to get to the sitter’s. If Julia stayed with one of the Montgomerys, she would actually be closer to Abby throughout the day, and Abby would have an easier and shorter drive home. It just made sense, and it would help out more people if she were there to add to the days when someone could watch all of the children. She knew she just had to give up control and say yes. But as the snow started to come down a little more earnestly, Abby was afraid she might have a bit of a hard time getting to her daughter tonight. And when she finally got there, it might be even more difficult to get them home. Her windshield wipers flew back and forth, the speed increasing, but so did the quickness of the snowfall. She cursed herself once again for saying no to the Montgomerys. When she finally arrived, Julia was hyper but not too much since Abby knew the babysitter didn’t give her extra sugar. This was just Julia’s happy, bubbly way. Her daughter was an amazing baby girl—though she wasn’t really a baby anymore, was she? Julia was perfect in every way. No, Abby wouldn’t tell her that she was perfect over and over again because that would probably lead to issues down the road. 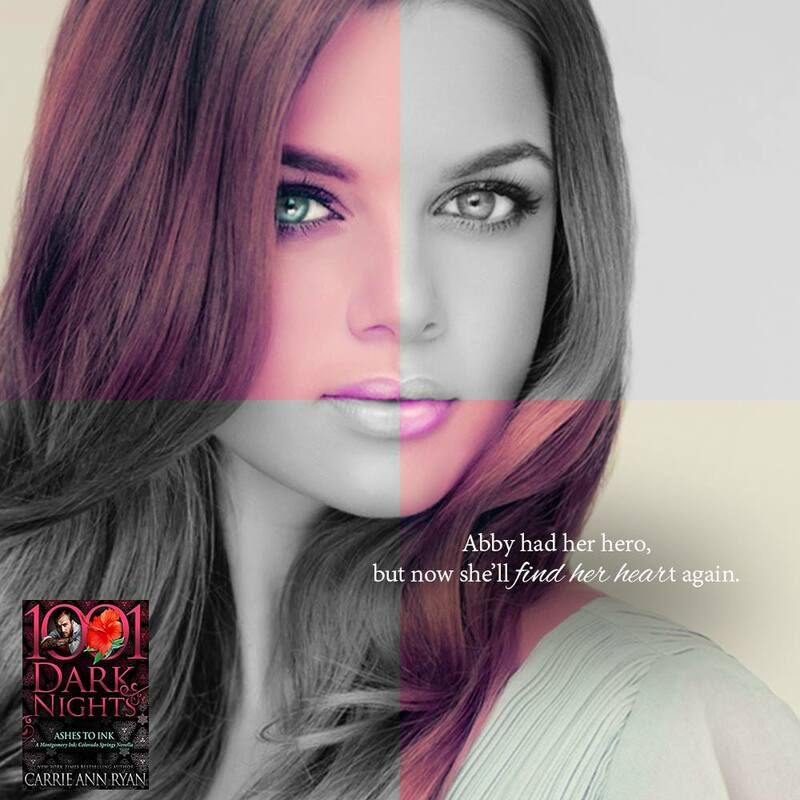 But in Abby’s mind, her daughter was perfect. She had gone through so much in her short life, even before she was born. She was a survivor. Just like Abby. Her daughter spread joy to everyone, even if she was a little shy at times. But she was so graceful, so grateful. She shared her toys with others, and always had a smile for those who might not want to. If another kid was crying or just needed a hug, Julia was right there. Sometimes even faster than the adults in the room. In the car, Julia babbled on about her day, using strings of words that wouldn’t really make any sense to anyone but Abby. Because that was the role of the mother, to always understand what her baby girl was saying, even if it didn’t make a lick of sense. Darkness started to fall across Colorado. The fact that it was December meant that there weren’t many hours of sunlight these days. The snow fell harder, the wind getting a little bit brisker. Abby just wanted to get home. She just wanted to be home. She was just turning onto the next street in her route, knowing she was close to home but not close enough, when her tires slid on the ice that she hadn’t seen. She tried not to panic, tried to remember what she was supposed to do in this situation. She didn’t twist her wheel hard, but she did try to turn into the skid. It was no use. She was sliding into the other lane of traffic, and though there were no cars right now, that didn’t mean there wouldn’t be some soon. Julia didn’t make a sound, Abby wasn’t even sure she knew that something bad was happening. Inside her head, Abby was screaming, her hands tight on the wheel—so tight, she was afraid she’d lose circulation. But she couldn’t focus on any of that. She just had to concentrate on making sure they survived the skid. She had to make sure that whatever they hit, they didn’t hit too hard. The sound of her tires sliding across the ice seemed loud in the vacuum of her panic. It shouldn’t have sounded loud. But the rubber did squeal, and Julia let out a sound in response that made Abby want to turn. But she couldn’t. She had to keep her eyes on the road. The decision to do that, to not look at her baby girl when her daughter might need her, broke her. But she had to focus on what was in front of her. The car hit the snowbank on the other side of the street with a dull thud, not even jostling the vehicle as it did, and Abby just sat there for a moment, her heartbeat so loud in her ears she couldn’t hear anything else. Everything had moved so slowly—and still did, as if she hadn’t just been in a minor accident. No other cars were coming, and there was no one else on the road. She always took this route because there was less traffic and fewer idiots out and about. But it was cold, and there was nobody around to help. Her car was still running, but she was halfway in a ditch and slammed into a snowbank. Her body didn’t hurt, but her head did. Only because of the headache, not anything else. Abby undid her seatbelt, trying to ignore the fact that she just might pass out from the stress, and tuning out the cheery Christmas music filling her car. This seemed like the worst time for Christmas music, but then again, she didn’t know when a good time for it would be anymore. When she finally got turned around, Julia just smiled and held out her hands for a hug. Abby practically crawled over the seat back to check on her baby girl. They hadn’t hit hard, neither of them getting jarred too badly. The car hadn’t even been going fast enough for the airbags to go off. Abby knew that she needed to figure out how to get out of the ditch. Maybe she should call Carter. Or the cops. Then, she remembered that Roxie’s husband Carter had just been in an accident and wasn’t working at his shop. He wouldn’t be operating the tow truck. Right then, all Abby wanted to do was cry because she had no idea what to do. But because she knew her baby was fine, that both of them were fine, she got Julia out of her car seat and held her close. She had to keep reminding herself that they were okay. She wasn’t even shaking, even though she probably should have been. Shock would likely do that to her later, but right now, she needed to hold her baby girl. Headlights suddenly filled the car, and Abby closed her eyes and held Julia close, trying to protect her as best she could. If a car hit them right then, Abby knew that they were done for. But as the light continued to fill her car, the oncoming vehicle slowed. The sound of a door opening and closing filled Abby’s ears, followed by the sounds of a person walking, their shoes crunching on the snow. Someone tapped on the window and called out her name. But because she and Julia had fogged up the windows, Abby couldn’t see who it was. She scooted over in the backseat and opened the car door. She had never been happier to see his bearded face. She just looked at him, and then promptly burst into tears. The graphics caught my attention.